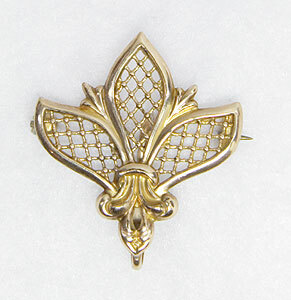 An open fleur-de-lis pattern is the design of this antique art deco gold filled watch pin. 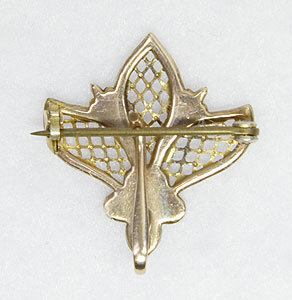 A lattice style design fills in the fleur-de-lis. The pin measures slightly over 1” in height and width. Circa: 1920.